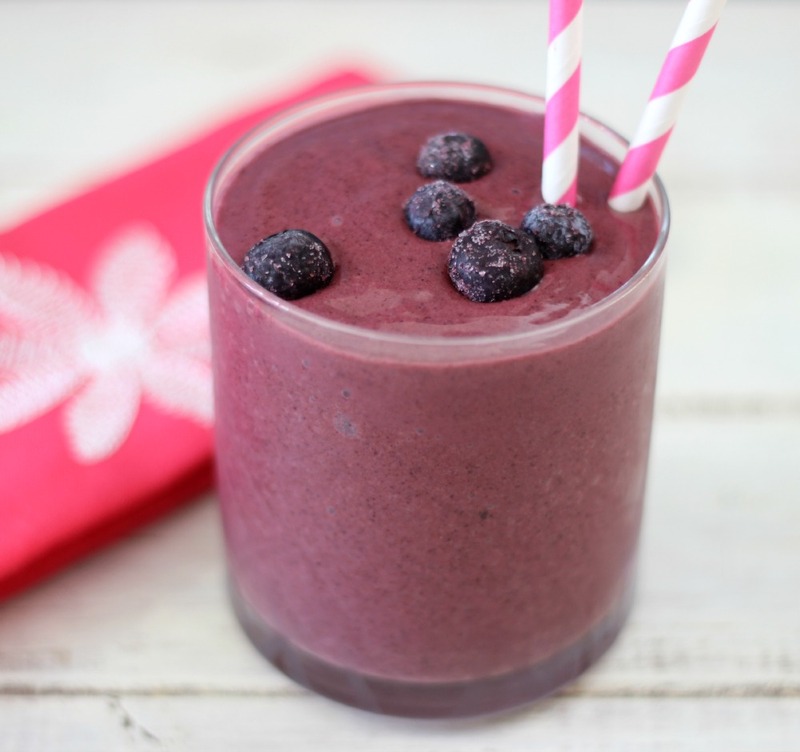 The one thing that I absolutely love in the summer is a nice, refreshing, natural smoothie! I love to sit on my deck, soak up the sun and drink my fruit. I can guarantee that I will be doing that today. 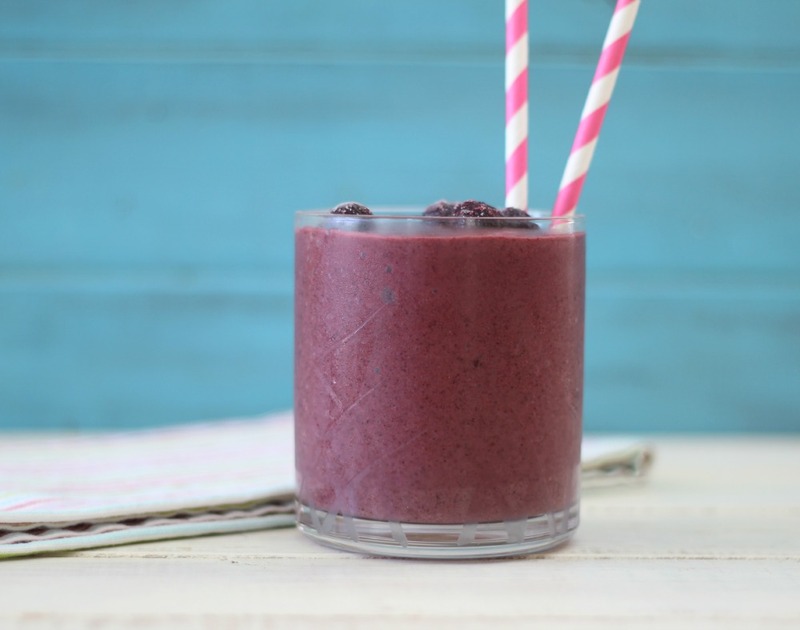 So for today I have for you a simple, flavorful smoothie that will please your taste buds and cool you off and that is my Blueberry Mango Smoothie. 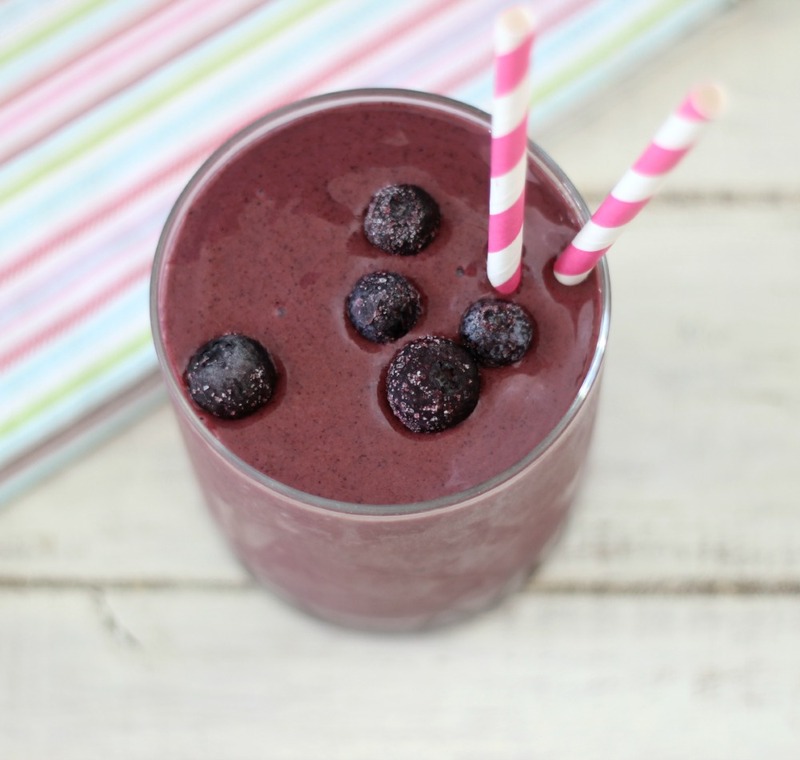 This smoothie tastes amazing with a nice blueberry flavor, a hint of mango and a pinch of honey to sweeten it all up! I also used unsweetened coconut milk to make it dairy-free. However non-fat milk would be amazing in this recipe too! 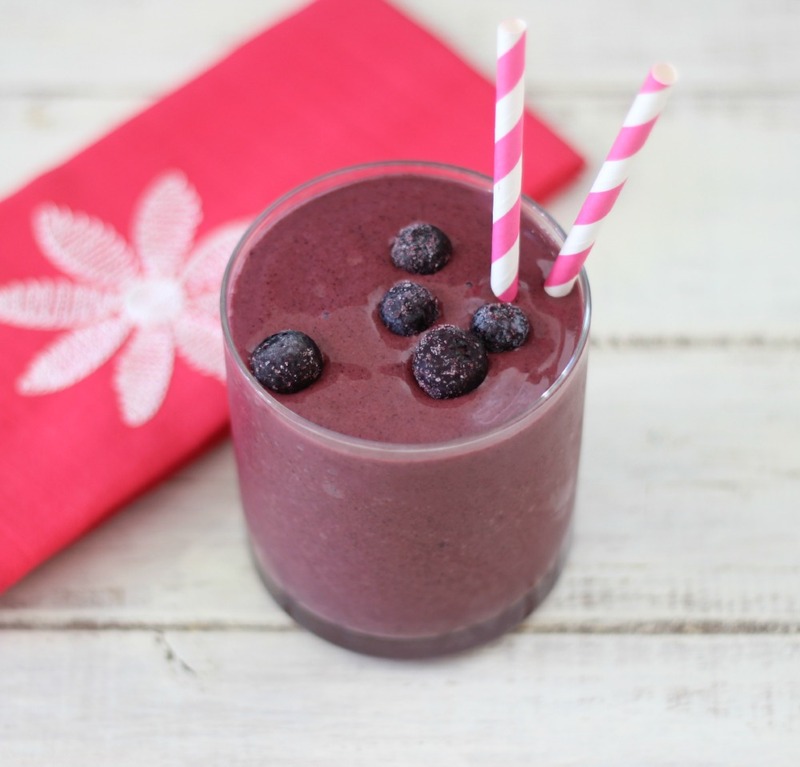 Actually any milk that you love will work beautifully in this smoothie. A healthy smoothie made with blueberries, mango and coconut milk that is sweetened with a touch of honey. Sorry, my calculation program is not working. This is all natural and healthy and is approximately 262 calories. I want to apologize for the issues I have been having with my blog. I am slowly trying to work them all out. One thing I never realized about being a food blogger is, not only do I have to make my recipes, but I also have to know how to photograph them, calculate the calories and learn technology. Technology is not my thing. I want to thank you for having patience with me. If you see any issues with my blog, please let me know. Thank you Sammie! I just love coconut milk in smoothies.